At Arathusa, we are very fortunate to see South Africa’s rarest carnivore – although not predictably, fairly often. There are reportedly only about 4 500 left in the wild. Habitat loss is a cause for the decline of many species’ populations, and African wild dogs, who need a whopping 500 to 1 000km2 range in good quality habitat, are amongst the first to feel the pinch. Add to this past and present persecution outside conservation areas by farmers, and a particular susceptibility to canine distemper and rabies (spread through their close-knit packs by sharing food and mutual grooming). African wild dogs are incredibly social creatures, engaging in ritualised play and greeting/waking-up ceremonies, involving incessant tail wagging – ‘flag waving’. This behaviour signals their intent to maintain group cohesion, and makes them delightful game-viewing animals. They can be tricky (fidgety) photographic subjects, though we’ve managed to record some great footage of them playing (they say a wild dog is twice as active as a Border collie), feeding (devouring their favoured impala, virtually head to toe, in five to 10 minutes), and interacting with hyenas – their ever-hopeful, scavenging entourage. 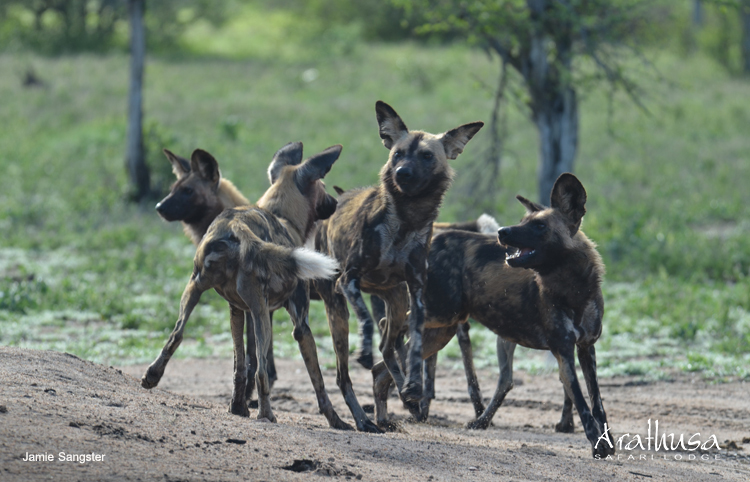 Of all carnivores, African wild dogs have the most structured social order. 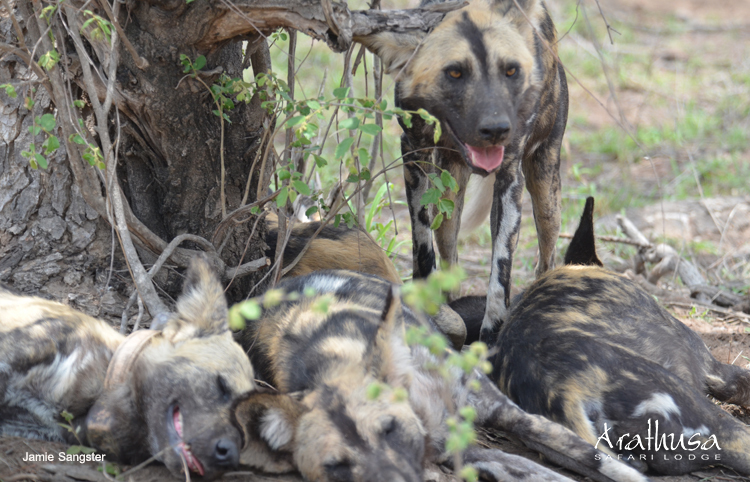 Packs are dominated by a breeding pair, but the wild dogs hunt as equals and then allow the young to feed first. Subordinates feed next, and the alpha pair at any time. There’s very little aggression within the pack, and greater emphasis is placed on maintaining their numbers for successful hunting and pup rearing. As such, their interaction often mimics juvenile behaviour and rare disputes are usually solved by the whole pack ‘telling off’ an individual, rather than displaying overt hostility. 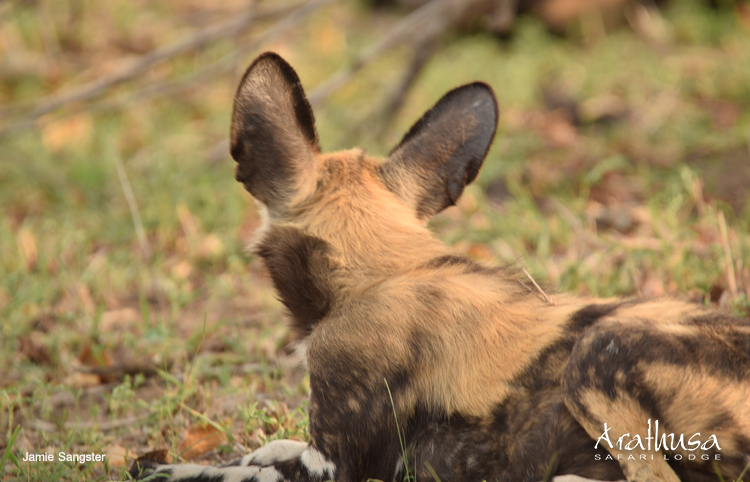 However during the denning season, African wild dogs must defend their territory against other packs to avoid disturbances while breeding, and so also shrink their massive range to a 5km-radius territory. Thus their transient habits for nine months of the year now become more predictable – fortunately for us! One of the many highlights of watching wild dogs is their comical interaction with hyenas, where there’s light-hearted taunting between them. Water is also always a catalyst for playfulness. 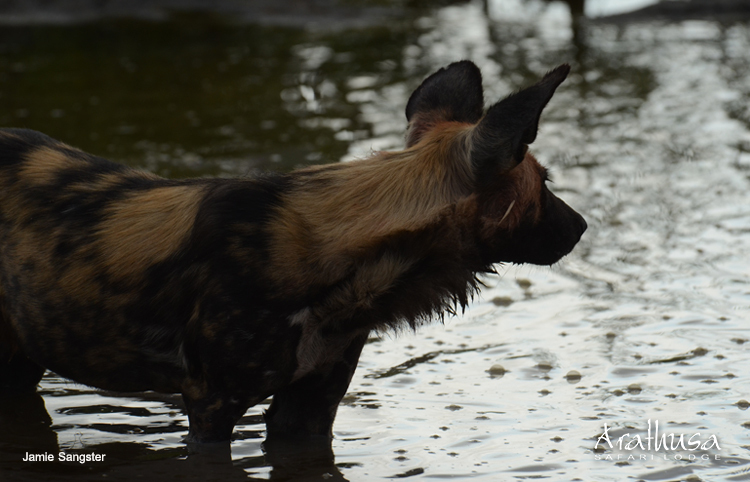 Wild dogs seem unable to resist tearing through pans after each other, or just having a good old soak-and-drink – and any muddy pan will do! Perhaps wild dogs are so appealing because they live the ultimate work-hard-play-harder lifestyle. They exude freedom. Perhaps it’s also their impeccable family etiquette. And maybe it has a lot to do with their determination and amazing hunting track record. They’re the only carnivore that doesn’t quit when the line of sight is lost, instead relying on their incredible stamina, intelligence, and coordination (their best pack value) to see them through. 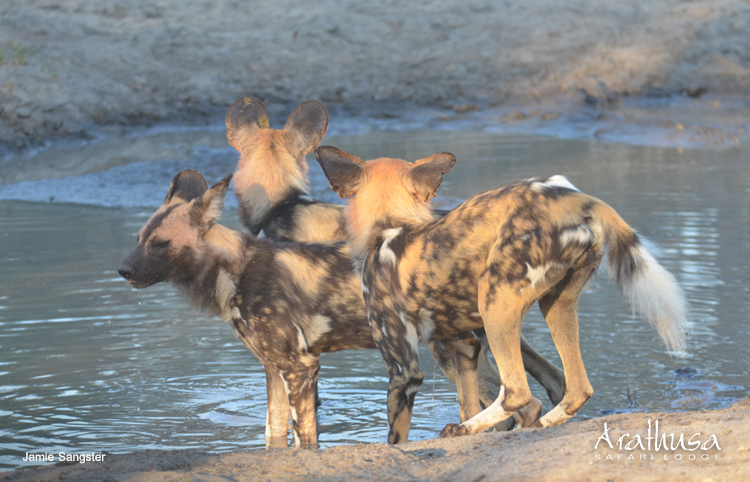 We’re simply wild about African wild dogs!